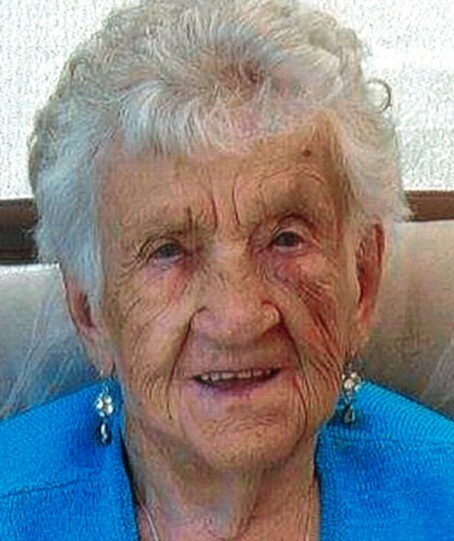 Passed away peacefully with her family by her side at the Smiths Falls Hospital on July 30, 2018.
of Almonte, Ontario, at the age of 98. Beloved wife to the late Ronald McConeghy. Dear mother to the late Joan (nee McConeghy) (Bob Connery) and survived by her son Carl Box (Bonita). Proud “Nan” to Lennis (Jill), Carrie, Janice (Harry), Randy (Franny), Sandy and pre-deceased by Brent. Loved by her several great-grandchildren and great-great grandchildren. Sibling to Margaret Sonnenburg and pre-deceased by her siblings John, Eric, Alton, Wilburn, Mildred, Bill and Glenn. 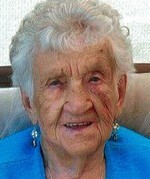 Fondly remembered by her many relatives and friends. on Friday, August 3, 2018 from 2-4pm and 6-8pm. Funeral Service in the Gamble Chapel on Saturday, August 4, 2018 at 11am. Interment at White Lake Cemetery with reception to follow in White Lake United Church Hall. Donations in memory of Irene may be made to the Kidney Foundation.